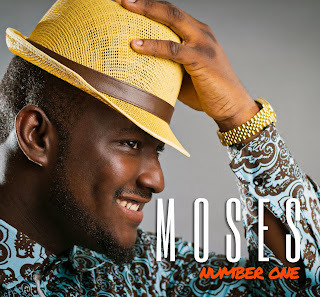 Fresh from releasing his debut singles to rave reviews a few months ago, 22 year-old winner of Nigerian Idol 2013,Moses is back with the brand new music video for hit single “Number One”, starring Sharon of Addiction, for our viewing pleasure. Following in the same vein as the resounding and infectious DJ Klem-produced single, the “Number One” music video is nothing short of captivating. It showcases Moses in his very performance element as the Nigerian Idol winner wows us all, with those glorious vocals of his and the strong musicianship that gained him the critical acclaim among Nigerian Idolfans, viewers and critics in the first place. Directed by Unlimited L.A who has also worked with the likes of Reminisce, Sean Tizzle and Yung6ix, the “Number One” video is already receiving rave reviews after recently premiering on TV stations across Nigeria. As it makes its debut online, fans and critics across the web will especially be thrilled, not only by the exquisite visuals but also by this smoother and sultry side to Moses.